The many things that keep your home outdated and dull, so don’t be a dinosaur and move into a new era! Modern living has changed so much in even the last decade — from Nespresso and Keurig machines that make our morning cup of coffee almost instantly to heated toilet seats with all the bells and whistles — generations past may be a little jealous! With all the new home luxuries and comforts, there are items that are becoming extinct and that quickly outdated your home. So, is it time to get with the era and move into a Homes By Guardian new home build for an instant update? We offer beautiful Cheyenne living communities for all stages of life — from entry-level townhomes to easy, low-maintenance ranches for seniors. Whatever stage you’re in, update with us! Learn more about the things that may lead to a premature home extinction in today’s post! Perhaps an instant upgrade needs to happen and that means moving out and moving into a new home, but in the meantime, venture into what outdates your home! What things are lurking in your dwelling? Does your home host a bold color in just about every room in your home? From the red wall in the dining space to the eggplant in the spare bathroom, this bold color scheme quickly outdates your home. And, don’t forget the wallpaper. If you’re still doing wallpaper, you’re doing it wrong! If you have even a touch of floral or busy-stripped wallpaper, we know you were living high in the 80s — the 80s! You know the best selling points of a home — stainless steel appliances! If your home is still sporting white appliances, it may look outdated. Not only are white appliances hard to keep clean, they yellow over time — and who wants yellow appliances? In an age of brushed nickel and rosy golds, gold just cannot compete. Gold hardware gives 80s and 90s vibes, and not in a good way! If your home sports gold hardware and wallpaper, look out, we’re in a time warp! Heavily carpeted homes are just not it anymore! What’s even scarier are carpeted bathrooms — weird! Sure flooring can be cold but that is exactly what heated floors and bathmats are for! Keep your sanity and health by getting rid of the carpet! Does your home boast a home office? And does it have all the built-in amenities you could ever want and need? We get that many more people telecommute and work from home these days, but in time, these have become lighter and more efficient — there is no need for a clunky workstation that was specifically measured for your office! Although there are very few things that are timeless, most things go out of style and phase out. 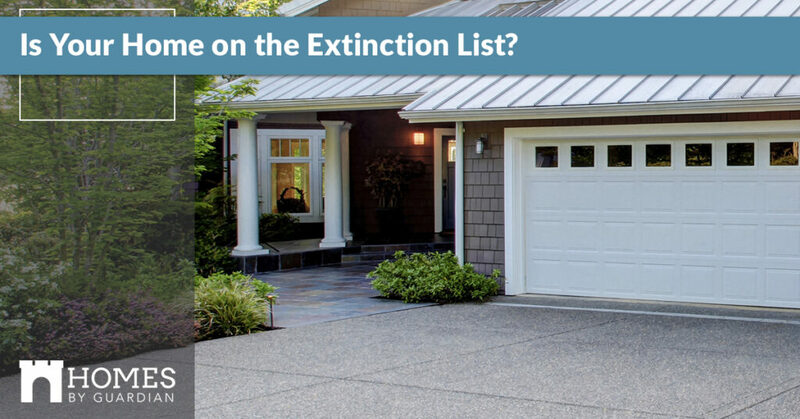 So, where does your home fall on the list of things that outdate your home? Step into a new era and connect with us about the new home builds and designs we offer!